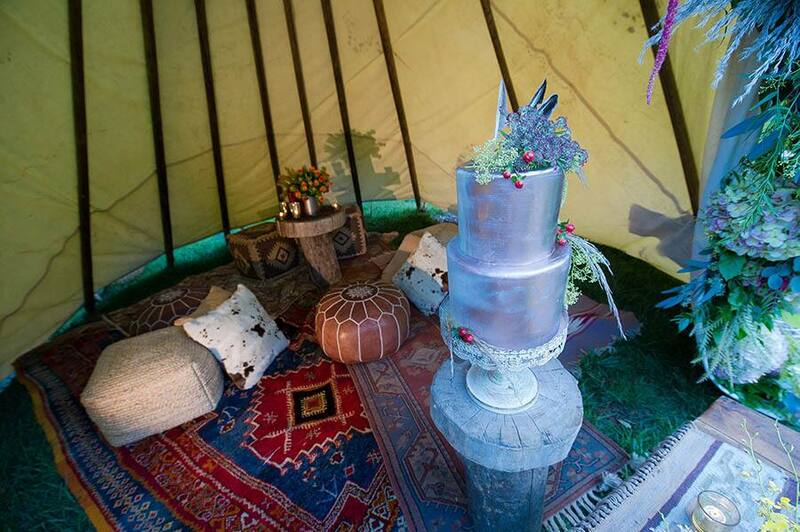 You may have seen this impressive cake as part of last week's Monday post highlighting the Pocahontas inspired decor. 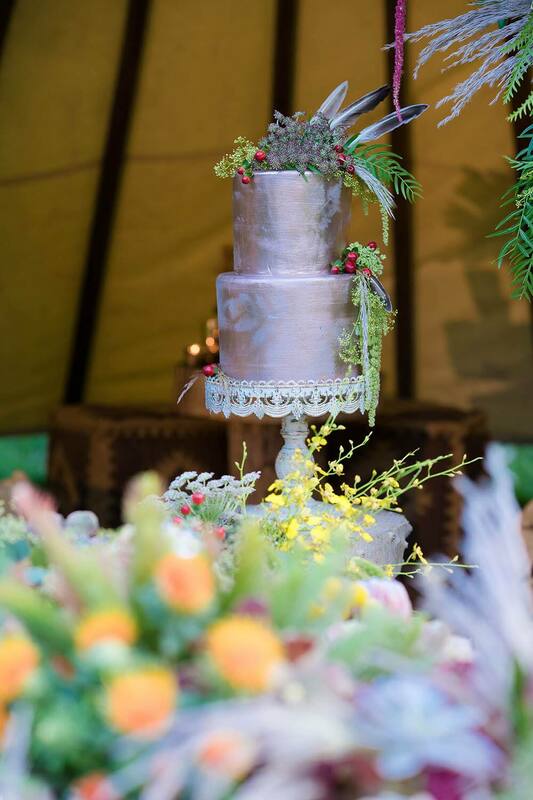 I love the painted look of the two-tiers, which pays tribute to the most famous song from the film, "Colors of the Wind." The shimmering, metallic colors show very light impressions of plants as if they were floating in the wind. 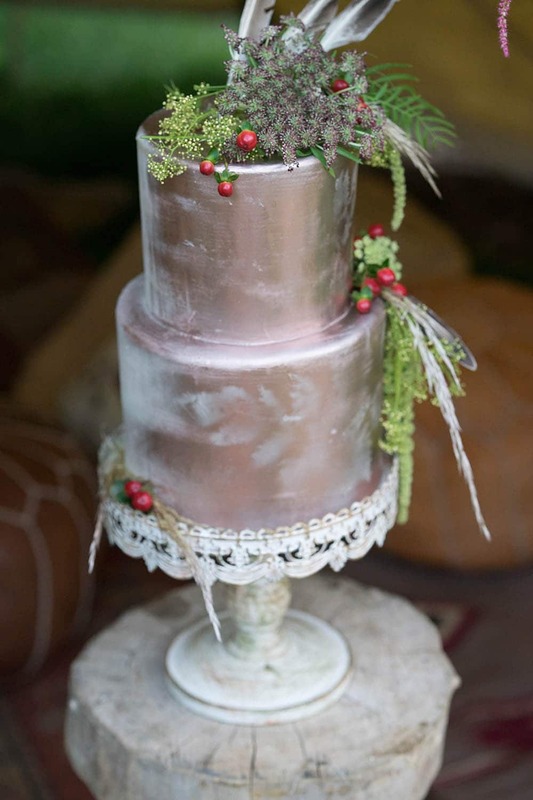 The rustic greenery decorating the dessert looks like it was picked right from the field, while the red berries add some color. Bird feathers top it all off and tie in the natural theme.